England 1315 – famine and unrest sweep the country. When Sir William Bradshaigh joins Adam Banastre’s rebellion against their overlord, the Earl of Lancaster, things do not go to plan. Sir William is lucky to escape with his life after a battle at Preston and, as a wanted man, has no choice but to become an outlaw. 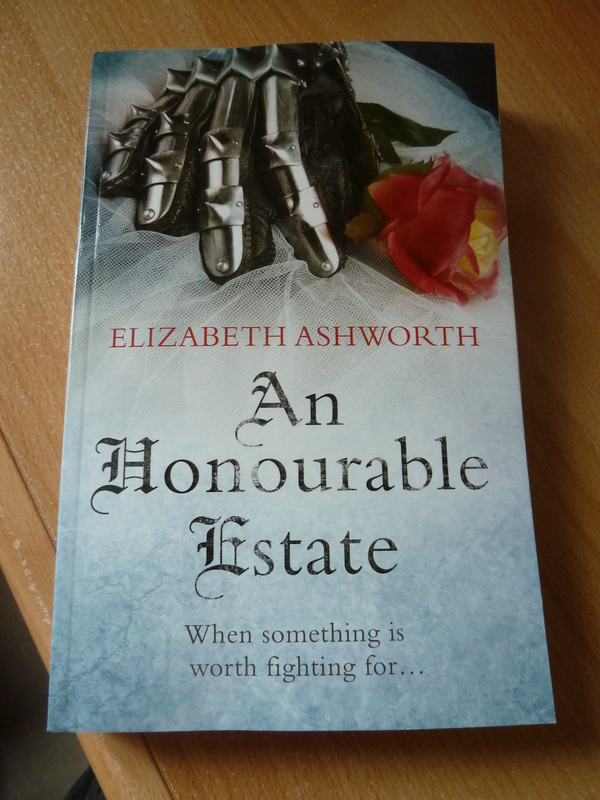 Meanwhile the lands at Haigh are forfeit to the king and are given to Sir Peter Lymesey for a year and a day, and Lady Mabel must make a hard choice if she is to protect her children and herself. Mabel de Haigh paused on the edge of the market place. Her bare feet were bloodied and torn and the snow-laden wind made her shiver as she limped forward, bareheaded and dressed only in her linen chemise. In her hand she shielded a lighted taper, almost burnt down now. The villagers who lined her path willed her on and gave her strength. Although the penance for adultery was designed to be a humiliation, these people neither mocked nor jeered her as she passed, but the men averted their eyes from her unclothed body and the women whispered words of encouragement and sympathy. At last she reached the stone cross and knelt before it to pray to God for the salvation of her soul. She was an adulteress. She freely admitted her sin to God, priest and man. But she prayed that God would forgive her as easily as Father Gilbert, her confessor, and the people of Haigh who stood protectively around her. She held up her hand in a silent plea for a few more moments of prayer. Then she crossed herself, put out the taper and stumbled to her feet as arms grasped hers and supported her. It was over now and she could go home, shriven, to have her feet bathed and bandaged and to recover from her long penitential walk. 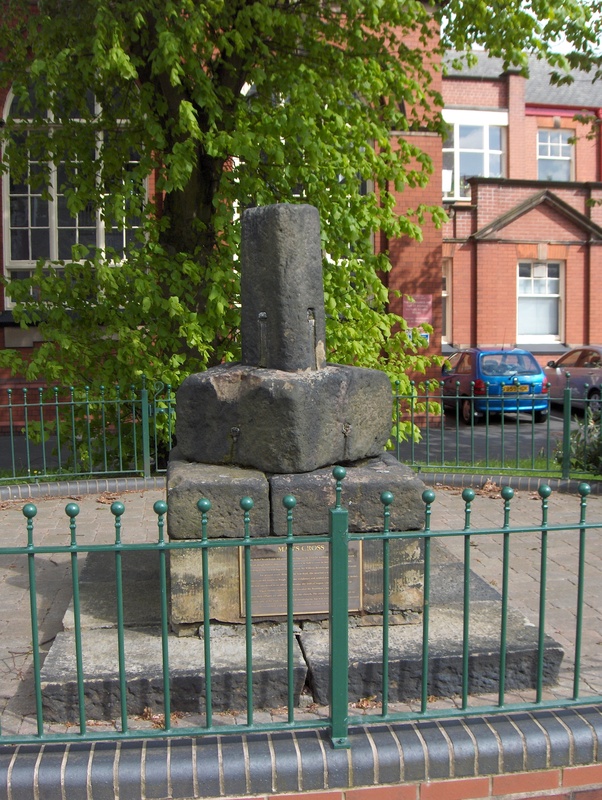 An Honourable Estate is based on the legend of Mab’s Cross which can be found outside Mab’s Cross primary school in Wigan. I’d heard about the legend of Lady Mabel, who walked barefoot to the cross from Haigh Hall as a penance for her adultery, but it was only when I began to research into the true history behind the legend that I discovered what really happened was probably more interesting than the stories handed down over the generations. I began my research in the Lancashire Authors’ Association library, which is housed at Accrington Library where I found this small booklet. 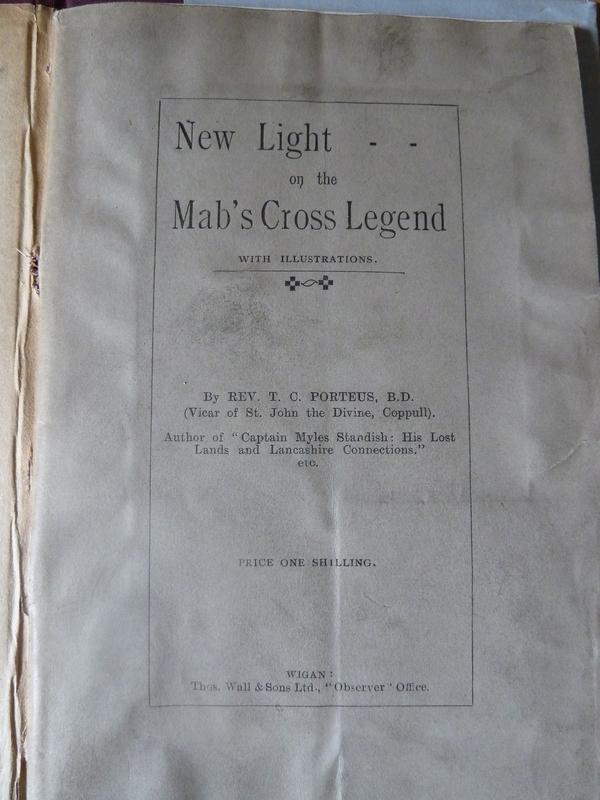 New Light on the Mab’s Cross Legend by Rev. T.C. Porteus. T.C. Porteus, who at the time of writing this booklet was the vicar of St John the Divine at Coppull, is a past president of the Lancashire Authors’ Association. He was very interested in the history of the area and also wrote a book about Myles Standish and another about the death of Sir William Bradshaigh in 1333. In this booklet he compares the two best known versions of the legend and goes on to discuss what might have really happened. He points out that what occurred took place between the years 1315 and 1322. The events that coincide with those dates are the Banastre Rebellion in 1315 and the Battle of Boroughbridge in 1322. The Banastre Rebellion was led by Sir Adam Banastre against Sir Robert Holland who was the mesne lord between him and Thomas, Earl of Lancaster. The rebellion failed and those who had taken part were either arrested or went into hiding. In the legend, Sir William goes on crusade to the Holy Land, but Porteus suggests it was more likely that he was forced to become an outlaw. In 1322, Thomas, Earl of Lancaster fought against the king, Edward II at Boroughbridge. It is the significance of Thomas of Lancaster’s involvement in these two events that underpin the search for the truth behind the legend and I’ve relied heavily on Porteus’s interpretation for my plotline.